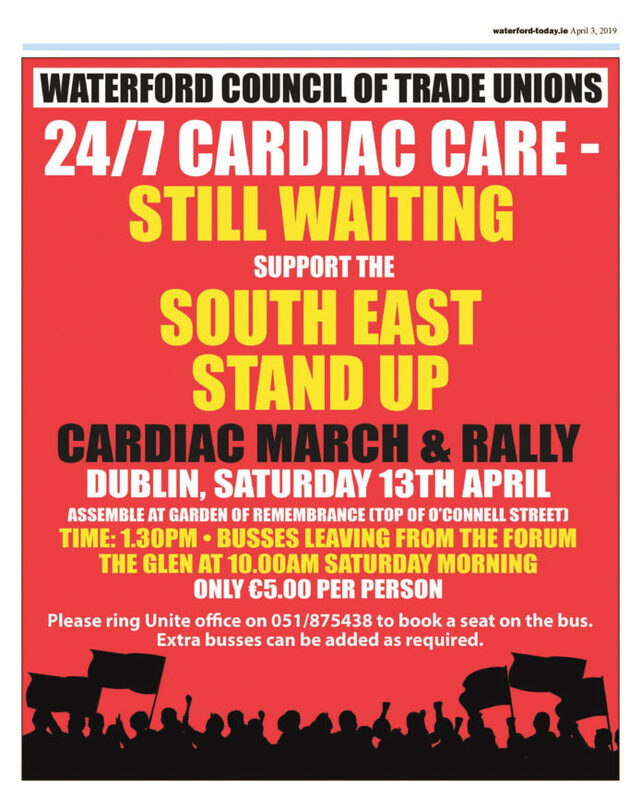 THE Unite in the Community Waterford organisation is calling for a big turnout for the 24/7 Cardiac Care for the South East protest in Dublin City on Saturday, April 13th. 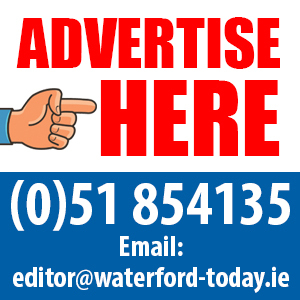 The pressure group have said they are “shocked and offended” by the latest data which shows 98% of those who suffered a cardiac event, during the years 2015-18, from Waterford, Wexford and South Tipperary and were transferred to Cork or Dublin, were found to be outside the clinical standard of 90 minutes that determines optimum recovery. Of the 295 people transferred three made it within this window. These delays resulted death, brain damage, or loss of sight among others. This must be compared to the international clinical standard of 60 minutes used in the UK, where 90% of cardiac patients begin treatment within this timeframe. The building of a second Cath Lab, if it were to happen immediately, would take at least 18 months before patients could be treated there. The same statistical certainty as outlined above would continue, condemning many new cardiac patients to unnecessary suffering and even death.